The perfect gift for the foodie in your life. 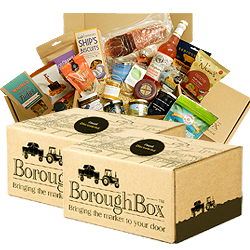 Give them a three-month subscription to the Journey Through BoroughBox Food Discovery club. Your recipient will receive a new box every month containing delights from artisan food producers across the country.